Join in some of the unique summer festivals that grace the summer months along this ancient route. 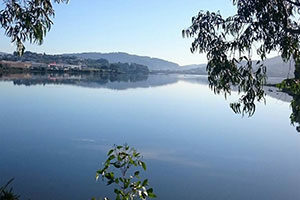 If you are planning on walking the English Way you will start your journey in the coastal town of Ferrol. In the summer this town comes alive with music, concerts and entertainment. With festivals throughout the months of July and August you will be spoiled for choice. 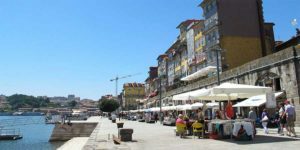 The trail offers a mix of lively historic towns such as Pontedeume and Betanzos with plenty of Summer festivals where walkers can celebrate with locals; and rural countryside, so you can get the best of both worlds. If you have an extra day take a short detour from the walking notes to the seaside town of A Coruna for ‘La noche de San Juan’ on June 24. As the shortest night of the year, it is full of superstitions and you will witness spectacular bonfire displays and rituals. Price: from €672 per person sharing for 6 nights. The beauty of the Portuguese Coastal Way is that the whole route, from Porto to Santiago, only takes 13 nights to complete. This soulful trail takes walkers through seaside towns and fishing villages, bursting with life in the summer time. Be sure to stop for a swim in Atlantic on one of the sandy beaches along the way. 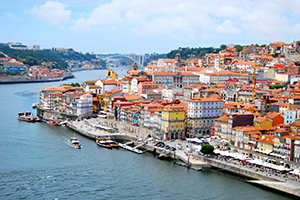 Enjoy dining in any of the outdoor terraced restaurants in the old towns of Porto or Baiona. Summer evenings don’t get much better then this. 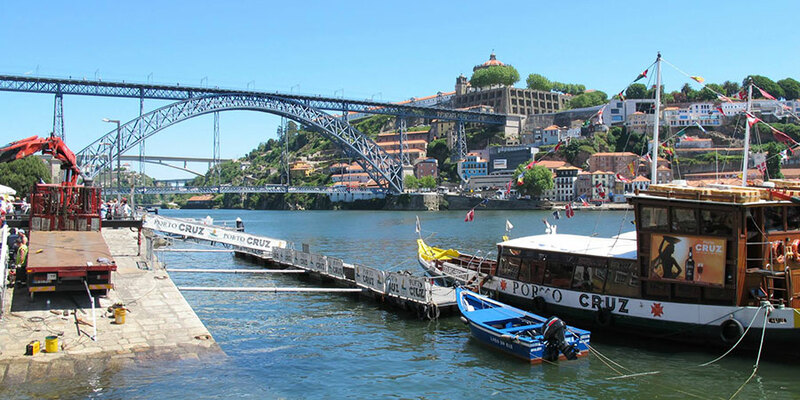 Starting in the colourful town of Porto, discover it’s festive atmosphere as you take some time to relax in one of the many parks over looking the Duoro River. 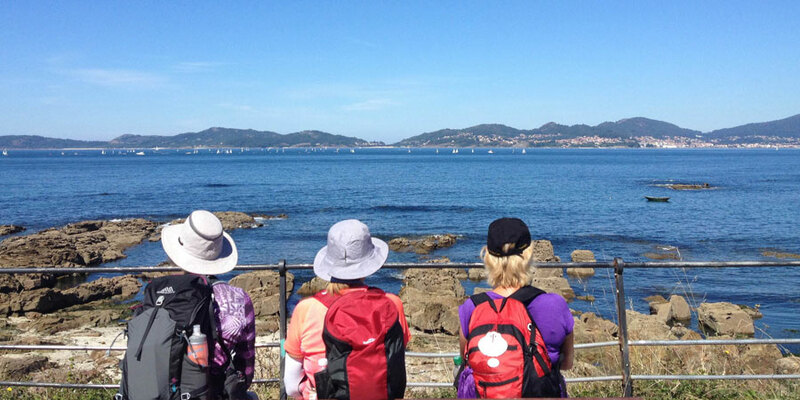 The full route only takes two weeks to complete and you can also opt to walk one week from Baiona to Santiago. Remember to collect your stamps along the way. Price: from €756 per person sharing for 7 nights. With your stomach rumbling at the end of a long day’s walk, the sight of delicious pintxos is simply delighted. 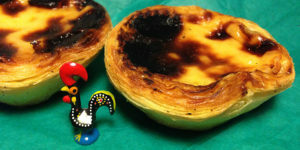 These tasty little dishes, paired with a couple of glasses of locally produced wine will win your heart on the Northern Way. The full route takes over a month to complete but you can get a feel for this epic trail walking from Bilbao to the elegant city of Santander. Start off with a visit to the famous Guggenheim Museum in Bilbao and finish with a Michelin starred meal and a glass of vino in the foodie center of Santander. The rolling hills and short but steep climbs make this route challenging but you will be rewarded with plenty of food for the body and the soul. 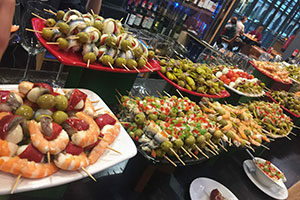 Top tip: Stop by the 100 year old Cafe Rufo in Bilbao’s city center to sample fresh Spanish produce and delicious pintxos. Price: from €784 per person sharing 7 nights. 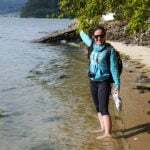 For more information and advice on great Camino Summer routes or to book you Camino trip, talk to the CaminoWays.com travel specialists.